How exciting is this... 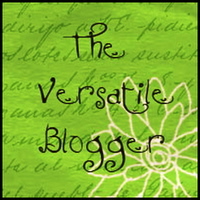 I got chosen for The Versatile Blogger Award over at Que Linda. 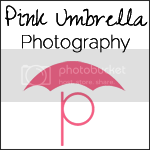 Pink Umbrella Photography and eleven other wonderful blogs got chosen for this as well. How exciting is that? I am just thrilled, really. Check out Que Linda and all of her awesome ideas. Being awarded like this is such an encouragement from other bloggers and I think you Que Linda. 3. Send it along to 15 other bloggers and let them know you have awarded them. 1. I LOVE wake boarding, water skiing and tubing as well as going to the lake. 2. I am attending the University of Phoenix to receive my Bachelors degree and become an elementary teacher some day. I have three children, two of which are ten and a half months apart. (Ya you heard me right). 3. I am the only child.... Yes!! 4. I am married to a wonderful man of five whole years. 5. I LOVE photography and anything that can help me improve my pictures. 6. When I was in High School I played Volleyball, Basketball and Softball. Softball was my favorite. 7. Bow hunting is a hobby of mine. Now I am going to choose some of the blogs that I think are just amazing and deserve some credit in all they do! 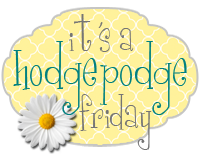 Now all you wonderful blogs listed should return the favor as I did. Oh and keep up the wonderful work you all are doing in the world of blogging. Congrats on winning the award! You deserve it. I love your blog and am your newest follower. Thanks for visiting mine and for your comment. Softball was my favorite sport to play too. Now I am completely horrible at it though. You definately deserve this award. And by the way, I fixed my button now so you may want to go back and grab the code again! :) sorry about the mess. Congrats fellow Award Winner! =) I'm an only child too!